Barter Books : Cleaver, Reginald; Hall, Sydney P; Renouard, Paul, et al. 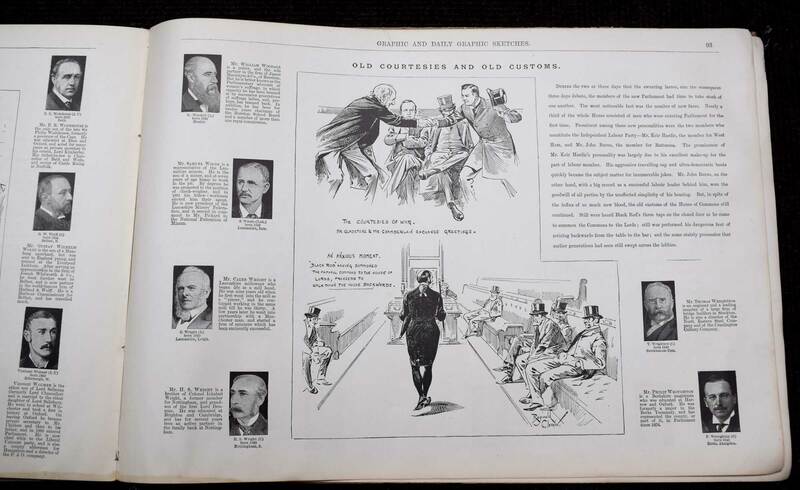 : Parliamentary Pictures and Personalities. 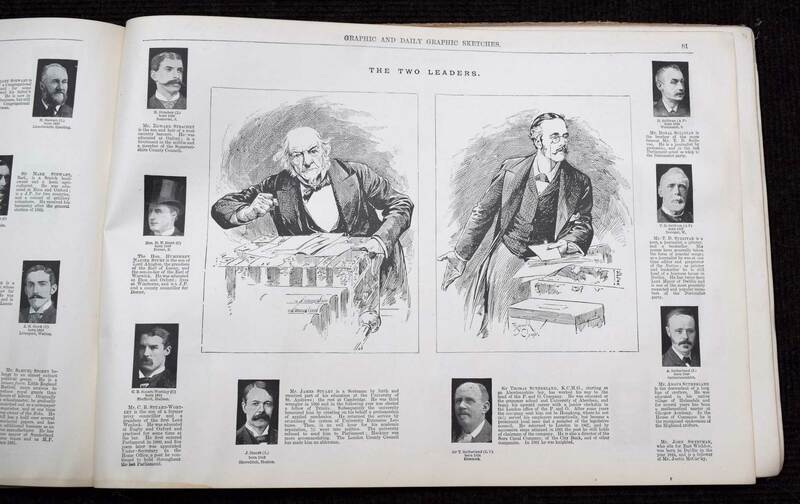 "Graphic" Illustrations of Parliament, 1890-1893. London. 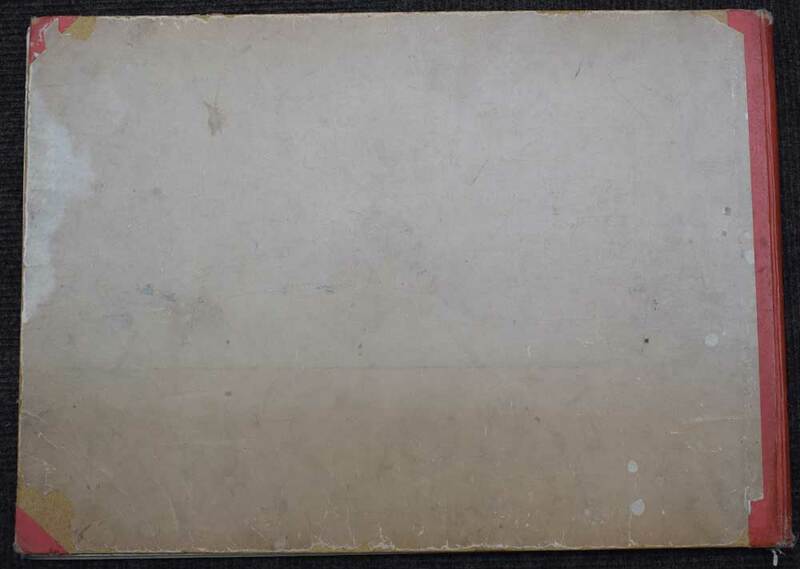 : Samson Law, Marston & Co.
300 x 410 mm (12 x 16 inches) - iv, 382pp. Half red cloth over paper-covered boards. Worn condition. Hinges cracked and binding loose but content clean and in good order. 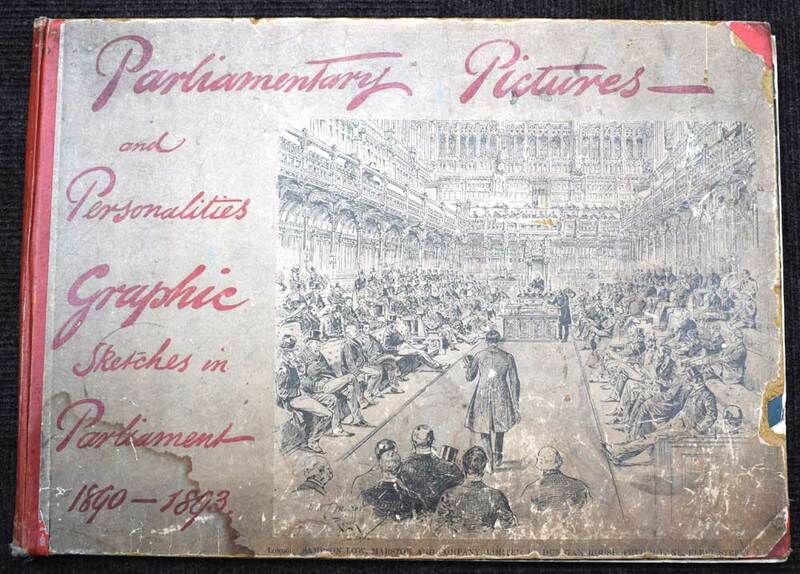 Containing one hundred and thirty-five character sketches and over six hundred portraits of members of the present house of commons with descriptive letter-press by Harold Cox.